Jim Buchanan is moving to Lucky's Pub in The Heights, soon to be rebranded as White Oak Biergarten. Photo by Victor Howard of Pitmaker. 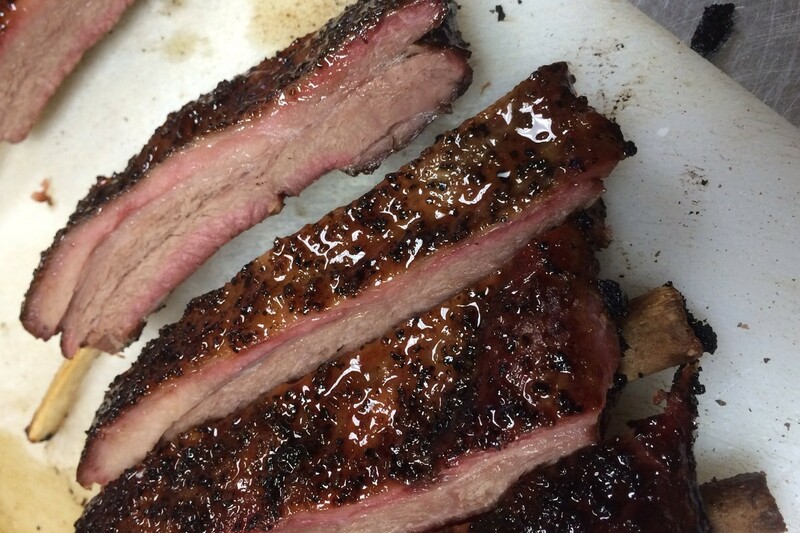 A pitmaster is leaving a high profile Houston barbecue joint to head up his own ambitious venture in the Heights. Jim Buchanan, a familiar face at Pappa Charlies Barbeque just east of downtown, is developing the barbecue program for soon-to-be-revamped Lucky’s Pub at 2520 Houston Avenue. The Heights location of the popular sports bar chain is undergoing some exterior freshening and expects to re-launch on August 26 as White Oak Biergarten, just in time for football season. Buchanan will operate the kitchen and says he will have exclusive creative rights to the menu in a concession arrangement with Lucky’s. Expect to see traditional Texas barbecue offerings of brisket, ribs, pulled pork and sausage, along with dishes that make creative use of smoked meats, such as brisket debris po’ boys. Lucky’s Pub, Houston Heights, soon to be White Oak Biergarten. Photo by Scott Sandlin. 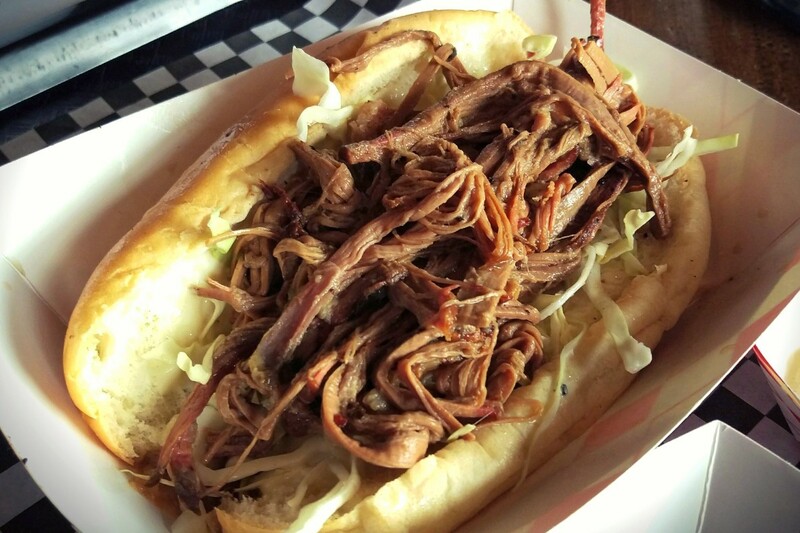 Under the direction of Buchanan, the kitchen at White Oak Biergarten will feature a market-style barbecue menu Tuesdays through Sundays from 11 a.m. to 10 p.m., and until to 11 p.m. on Friday and Saturday. Buchanan says the kitchen is in great shape and “pretty much ready to go” for opening day. The first major piece of equipment for his barbecue operation is an insulated cabinet smoker made by Pitmaker in Humble. Eventually, he hopes to be able to add a smokehouse with an offset smoker to increase capacity. Buchanan is a U.S. Army veteran who honed his barbecue craft on the competition circuit. It was where he met Wesley Jurena, owner of Pappa Charlies, and they quickly became friends. After the Army and a stint in the corporate world, Buchanan left to spread his entrepreneurial wings, operating several small businesses in the Houston area. When Jurena purchased the Pappa Charlies Barbeque trailer, Buchanan offered to help out. This ultimately led to him working at Jurena’s first brick and mortar location in September 2015. Buchanan is branding his new venture as Buck’s Barbeque Co., named for his father, who passed away in 2014. Thomas M. “Buck” Buchanan was a decorated U.S. Army Veteran of 26 years, retiring with the rank of Lieutenant Colonel. Buck also served the City of Houston for 25 years, and was the director of Solid Waste Management for much of that time. In 2008, in recognition of Buck’s distinguished career with the City, Mayor Bill White dedicated the “Thomas M. (Buck) Buchanan Northwest Service Center” in his honor. 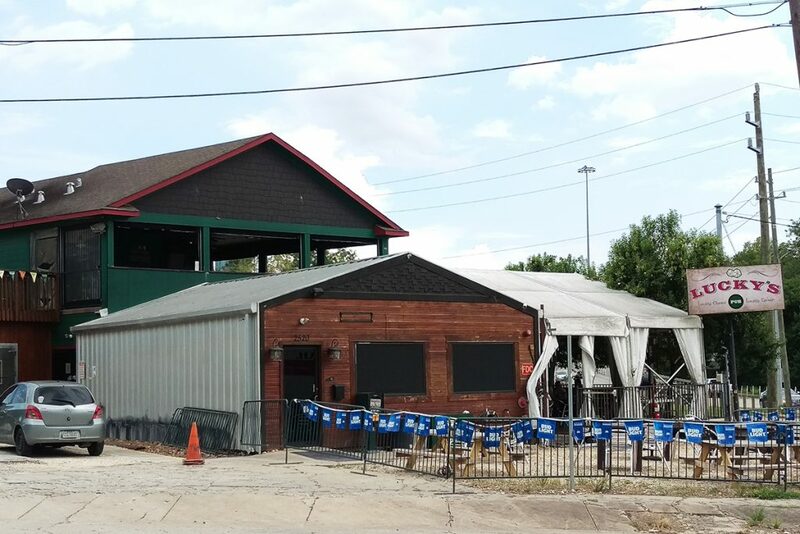 Lucky’s Pub – Houston Heights, (soon to be White Oak Biergarten), 2520 Houston Avenue, (713) 862-2400. 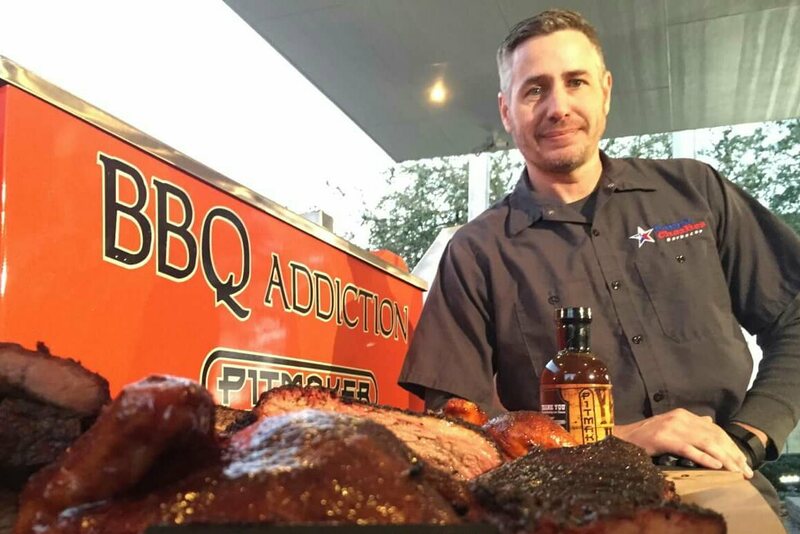 About The Author: Smoked meat enthusiast and barbecue competition judge Scott Sandlin authors the Texas Pit Quest blog, maintains the Guide to Houston-Area BBQ map, and is the barbecue columnist for Houston Food Finder. Jim is an all-around great guy, and anyone who calls him their friend is richer for it. Wishing him every success and looking forward to hearing all of the accolades that will pour in about him and Buck’s Barbeque Co. in the years to come!